Be Careful What You Throw Out from Your Storage! Sifting through bags of old clothing, used household goods and unwanted kids toys in a recently purchased storage unit can be slightly depressing. But when you come across that big ticket item, it’s all worth it. That is exactly what happened to Adrian Petrus, a Maryland man who competed for the contents of a foreclosed unit having any clue of what was inside. Petrus’ gamble scored a huge payout. TMZ Sports reported that the unit was filled with items of former NBA star Dikembe Mutombo, including signed basketballs, jerseys, shoes, trading cards and photos of Mutumbo with celebrities including Michael Jackson and Nelson Mandela. The lesson to learn? Think twice before tossing anything into the garbage. 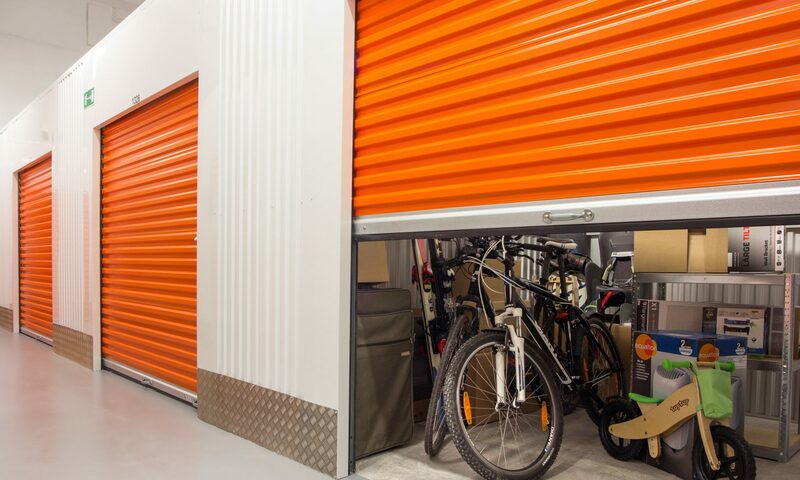 Use these tips to ensure that your storage unit is properly sorted after a successful auction. Let’s face it. The majority of your storage unit is likely to be junk. Decide whether or not each item is worth selling, donate what you can to charity and throw out the rest. While items in a smaller unit may adequately fit inside the bed of a pickup truck, you may want to rent a moving truck to load and transport larger items like furniture. In addition to a truck, consider renting Next Day Dumpsters to make getting rid of trash much easier. Failure to clean the unit within 24 to 48 hours after purchase is a sure-fire way to become uninvited from future auctions. Start the cleaning process promptly and efficiently work your way through each item. Searching for sell-worthy items is one of the perks about the job, and why many people continue to attend storage auctions. However, for the majority of buyers the odds of striking gold are slim. According to experienced storage hunter, Jason Byrge of Cleveland, only an estimated 20 percent of his auction purchases are profitable. When cleaning out your storage unit, avoid throwing out any items in which you are not knowledgeable. Instead, bring them to an antique dealer or someone who will know more about the item and its worth. In A & E’s show “Storage Wars”, some of the biggest wins included a unit full of newspapers that netted $89,250, a grand piano that made $11,625 in profits and a cache of jewelry that earned the buyer $16,675. Since finding a storage unit filled with treasures is like finding a needle in a haystack, you have to make do with what you have. Don’t give all your goodies away, especially if they can be resold. Household goods, such as furniture, appliances and toys may not be big ticket items, but can add up. If you do not know the price of certain items, do your research. Look up the item online to see what the going rates are, or bring your specialized item to an appraiser for an accurate estimate. Sell items that are not worth much in bulk, such as glassware, DVDs or dishes. Items that may seem completely worthless, such as scrap copper or aluminum, metal tools and electronics, can sometimes be recycled for cash. Used items with no clear value but can be donated to charity, such as stuffed animals and toys, can be a tax write off. While time-consuming, maximizing the use of each profitable item can help you become a successful storage hunter. Amy runs several blogs and writes about various subjects. Next PostNext Guest Post: Top Packing Tips!